Picture the scene – It’s midsummer 1973 in Hyde Park and the flower power movement is at its height. Hippies, hipsters, rock stars, musicians, wild women and global nomads with Shamanic horses gather to play, sing, dance, protest and perform. Policemen and a family of out-of-towners get caught up in the celebrations. Will they get in the groove? Nell Gifford builds a pleasure dome and Tweedy has a job in the kitchen as he thought everyone was talking about “Flour Power”. As evening approaches, the ever more chaotic event careers towards a joyful, transcendental finale. 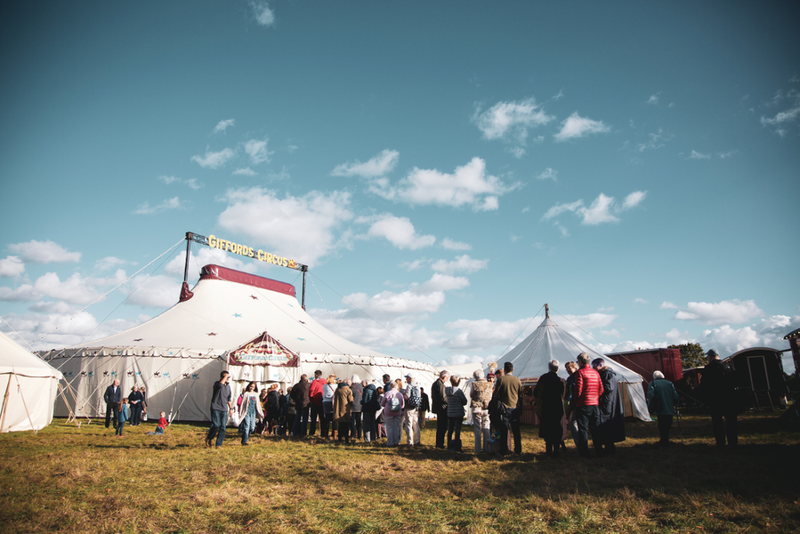 Nell and Toti Gifford began Giffords Circus in 2000 and since then they have taken a new show out on the roads of England every summer. Their vision was a miniature village green circus, bursting at the seams, packed, rowdy, tiny, a little band of performers who live nomadically, performing daily, engrossed in the serious business of making magic! Be there or be square!